Beta Antunes thinks that children should learn to write programs. Speaking as a professional developer and father of three, I think this is utter nonsense. I don’t want to pick on Beta specifically, but her article does contain a lot of the silver bullet thinking that makes articles like this so incoherent. The question that remains should not be “why?” but “how?” How can I inspire my child to learn to code, when should I start, and what are the many benefits? There’s much to unpick here, starting with: why shouldn’t the question be “why”? Or, more to the point, what do you think you are going to achieve by pushing your kids into coding classes? Software development is an increasingly specialised set of disciplines and being proficient in one area does not make you even competent in another. For example, I make a living from developing and maintaining interfaces between the large and often unwieldy applications large companies use to run their business, and I think I am pretty good at what I do. But you would not want to let me loose on a self-driving car. Ever. So the fact that software is everywhere is a bit of a red-herring because most people do not look at most source code. While it is useful to have a broad understanding of how applications and how best to use them, being able to write a specific type of application using a specific set of languages and tools isn’t going to help you. It is the parent’s job to encourage children’s interests and help them develop life skills. My personal philosophy is to start children coding early, and make it fun! Again with the unjustified jump from the obvious to the nonsense. Of course the parents have a responsibility to encourage children’s interests and develop life skills. Writing programs is not a life skill, and since Beta is making the assertion without any justification, I shall refute it without any justification. As we all know, learning by doing is much more impactful. Children are innately curious and love to explore. They love discovery… picking things up, examining them, smelling them, touching them, and asking why? “Picking things up, examining them, smelling them, touching them.” Notice how these are all physical ways of interacting with the world and, therefore, completely irrelevant to the point of beta’s article. Children are curious and it is far better to let them follow their interests. Trying to force them into following your interests is a surefire way of killing stone dead any curiosity they might have had. And the rest of the article follows much the same pattern: A statement of the obvious followed by an unsupported assertion about the value of coding. My irony meter almost broke when I got to the claim that coding teaches logical thinking — it clearly didn’t for Beta. I have three sons and, over the years, they have planted and grown fruit and vegetables, helped build a compost bin, chopped wood, built (Lego and Meccano) robots, helped build a chicken run, played games, watched films, talked film, read books, helped care for animals, designed games, built machines, and much more. Whenever we do something, we involve the boys, finding them things that they can and want to do, allowing them to organise tasks among themselves and encouraging them to take pride in their achievements. By doing this, we are (hopefully) encouraging them to recognise that the world is full of interesting things — both to see and to do — and teaching them to compete gracefully, co-operate effectively and to do things well. These are skills that are transferable to pretty much any walk of life, any career and any hobby. We are also demonstrating that some things are worth doing for their own sake, and not because there is some monetary reward attached to it. Children are individuals and each has his or her own interests. The role of the parent is to encourage those interests, not ride roughshod over them in pursuit of some mythical panacea. Since 2009, imec have been publishing an annual Digimeter report that attempts to assess how and to what extent digital technologies are used in Flanders. Flanders Today reports that the 2018 report is now out. The headline news is that, this year, they have focussed on attitudes to technology and divided the region into five groups ranging from the Passionate Lover (of technology), who sees smartphones and social media as wholly wonderful, to the Distant Acquaintance, who is totally disinterested in digital media or technology. The Dutch part of the site also links to a set of ten questions that you can use to assess your own Digimeter profile. And I can never resist a quiz. If necessary, you can find your way into the digital world, but you can also enjoy offline forms of media. This sounds like a reasonably fair description of me — I do have social media accounts, but I also avoid the big data mines like Facebook and Twitter and would prefer to spend my time reading a book, playing a game or watching a film. I was, however, a bit surprised to note that, elsewhere on the site, this makes me the opposite of the Passionate Lovers and a fierce opponent of technology. That strikes me as a bit of an overstatement of how I feel. Elsewhere the report notes that, while people do feel better informed thanks to the internet, there is also an awareness of the challenges it brings, especially in the guise of fake news. Consequently, reliance on social media for news is declining (a very good thing, in my opinion), especially among 16 to 24 year olds, with people falling back on traditional news outlets and real journalists to stay informed. Social media is still heavily used, but is declining as a news source and hopefully this trend will continue. I’ve not read the full report yet, but the site is nicely laid out allowing you to poke around whichever chapter happens to catch your interest. Although the survey was carried out in Flanders, I would assume that the Flemish are reasonably representative of Western Europe. [I]t comes as a big surprise to almost nobody that a survey earlier this year found that 41 per cent of internet users entering personal information online tend to falsify their details. Wonderfully, only 30 per cent of respondents did so out of security concerns, which means another 11 per cent did so out of sheer unbridled mischief. I love you, 11 per cent. You are my kind of people. And Apple told him it no longer had the license rights for those movies so they had been removed. To which he of course responded: Ah, but I didn’t rent them, I actually bought them through your “buy” option. Apple isn’t the first company to fail to clarify to customers what they are paying for, and they won’t be the last. Fundamentally, there is nothing wrong with the “lease to download” offering described here. But if you sign up for any sort of digital content, you need to be aware of what you are paying for. This also raises the whole question of DRM and how may times you are able to copy a file — do you really want to have to pay for the same film every time you replace your hard drive? In short, if you really want to own a film, buy the DVD. So well played, Zuck. You’ve saved a corrupted sham democracy from its own paid trolls. That’ll show your critics you take your responsibilities seriously. — Simon Sharwood on the latest entry into Facebook’s ongoing stream of fail. Just so you know, 31 December is #TwitterEvacuationDay, when many people are making the jump to alternative micro-blogging media, or just throwing up their hands in disgust and giving it all up. It’s the only way to make Twitter wake up, I think…or at the very least, to personally escape the toxic trap. I’m recommending that everyone make the leap to Mastodon — or, I hope, that at least some of my friends get an account there. Really, it’s just like Twitter — the interface is exactly like Tweetdeck, if you’re familiar with that. The big difference is that, instead of one giant central server for everyone, it’s distributed among many smaller servers, or instances. 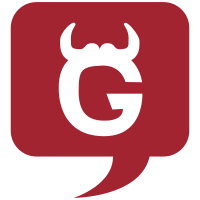 I had abandoned Twitter, and was happily using GNU Social, long before Mastodon was a thing. But Mastodon and GS instances can talk to each other, so which platform you prefer really is just a matter of personal preference. But if you are still on Twitter, December 31st is a good time to join the Fediverse. Non-alcoholic beverage slinger Long Island Iced Tea Corp, which is publicly traded and wasn’t performing particularly well financially, decided to rename itself this week to Long Blockchain – and its share price soared 289 per cent. I should start a company called “The e-Cyber Blockchain Business”. With a name like that, I won’t need a product. Around 200 Brussels taxi drivers staged a protest against the private hire app Uber on Tuesday morning. The drivers are unhappy about what they see as unfair competition from the app posing a threat to their jobs. I find that my sympathies tend to be with the taxi drivers when it comes to disputes about Uber. Ultimately, Uber is nothing more than a minicab firm with an automated dispatcher and underpaid drivers. I don’t really see why people keep getting so excited by this.